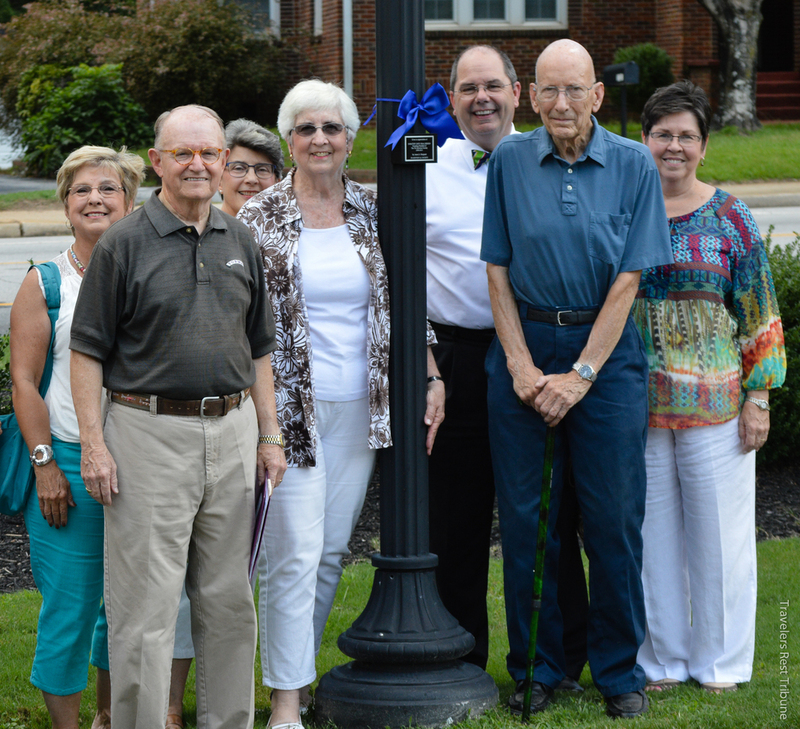 One of the ways the Historical Society plans to reach its goal of preserving the unique character of Travelers Rest is by using the 82 lamp posts on Main Street to showcase the town's unique heritage. The project is an opportunity to encourage members of the community to purchase 2 ½” x 3 ½” zinc plaques in honor or memory of families, individuals, businesses, church groups and schools groups. The posts are numbered, and the purchaser may choose any desired, available lamp post. Organizations such as graduating classes may collect contributions to help defray cost, and individuals or groups may join resources for a combined plaque. The majority of the funds raised through the plaque sales – approximately 60 percent – will be used to refurbish the Historical Society's 1926 museum building. The remaining money will be used to purchase the plaques, establish an operating fund and to maintain an endowment that will ensure the future security of the museum. Plaques may be purchased for $2,000, payable in two monthly installments, or for a one-time payment of $1,900. For additional information and/or to purchase a plaque, please call 864-630-5730 or 864-386-2278.